New Haven, CT–Two former champions sat down with the press today at the Connecticut Open. One, the defending champion, clearly isn’t playing 100% after coming off of mononucleosis. The other, a four-time champion, wasn’t even planning to be here, but then changed her mind. Petra Kvitova is back to defend last year’s title, but it will be nothing short of a miracle if she can pull it off. She admitted that she is not back to full recovery. 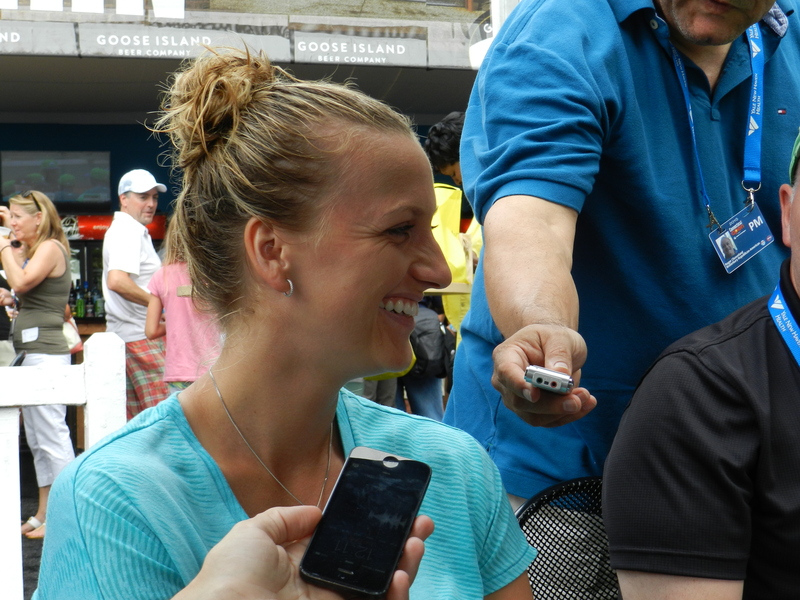 Kvitova said she didn’t think for a minute of skipping New Haven and was simply following doctor’s orders. I have watched Kvitova on the grounds and in practice over the last two days and she looks emaciated and weak. Yesterday, she was complaining about her shoulder. Hopefully for her, she’s at full strength for the Open, but I’m bearish on Petra right now. And that four-time champion who wasn’t even going to be here? Wozniacki IS at 100% and she wouldn’t hear talk that this was a confidence/rebound tournament for her. “I already felt good last week and mentally I’m much better. My leg and my back are both feeling better,” she said. Winning here four times brings back good memories for her. I assume she made the right choice, because I have never met anyone else who goes to New York to ‘chill’. Kvitova received a first round bye and gets a big test in Round two–either Madison Keys or Elina Svitolina. I just can’t see her beating Keys at this point. 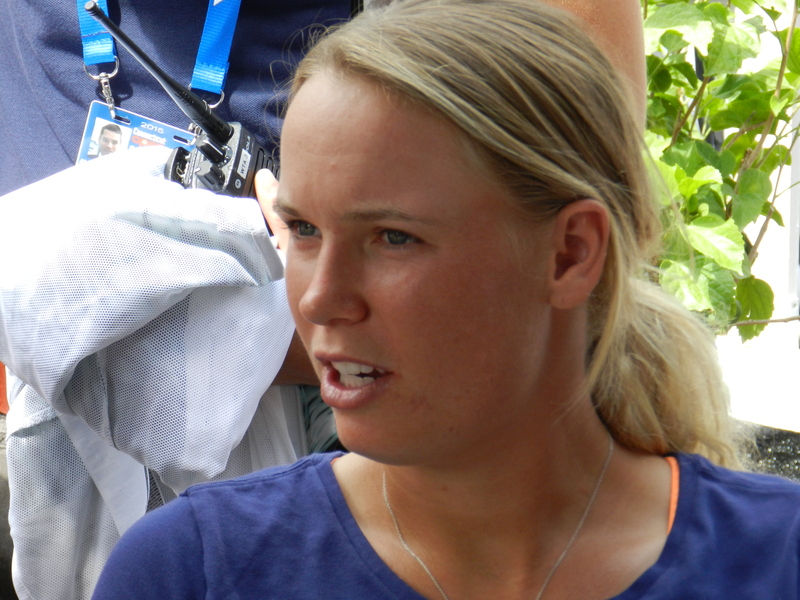 Wild Card Wozniacki will play Alison Riske in the first round.